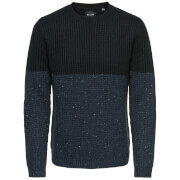 Men’s navy crew neck jumper from Kensington. 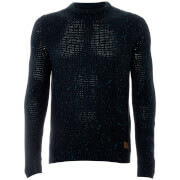 Cut for a regular fit, the knitted jumper is detailed with a contrast melange panel to the upper section. 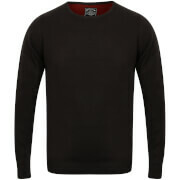 Complete with a ribbed crew neck, hem and cuffs.